Digital Awards at Castle House. 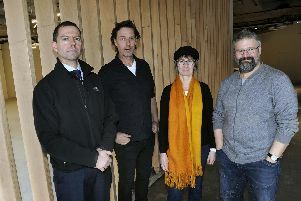 From left: Nick Morgan of Kollider, and Mel Kanarek and Chris Dymond of Sheffield Digital. Pic Steve Ellis. The cream of the city’s tech industry submitted entries but only three in each category will go through to the next round. The shortlist will be announced on Monday April 15 and we will reserve two £10 tickets to the ceremony for all 30 shortlisters. On the same day, 60 tickets will go on open sale at sheffielddigitalawards.co.uk for unlucky entrants who want to attend - or anyone who wants to be there when a little bit of history is made. 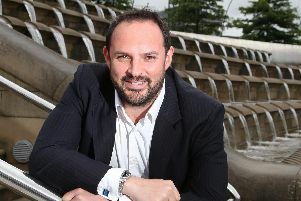 The Star has organised the awards with Sheffield Digital to celebrate the stars of an unsung - but booming - sector. They culminate in a ceremony at the city’s new £3m tech incubator, Kollider at Castle House, on Thursday May 2. Entrants include Plusnet, driver tracking company The Floow, games firm Sumo Digital, telecoms company Ask4 and job application specialist Tribepad.